We have became smarter with smart phones. Now the time has came to become more smarter to turn our sweet home smart. If we can turn our home lighting system smarter and energy efficient with our smartphones to control everything remotely from anywhere, how will it be? So, to start what will you need? 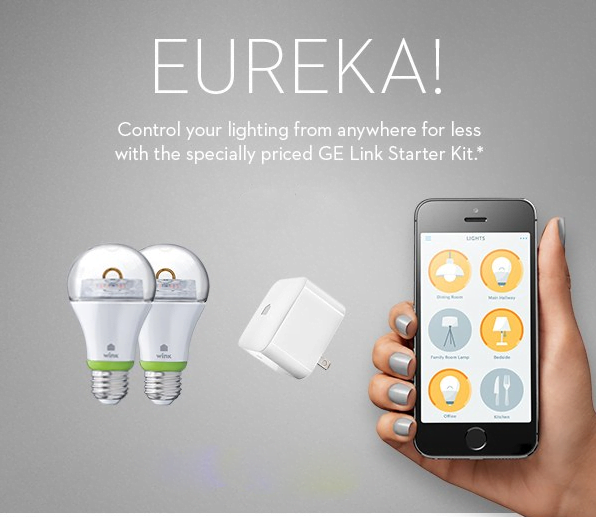 GE Link Starter Kit – This powerful pack has everything you need to start controlling your lights from your mobile device. It bundles 2 GE Link LED A19 bulbs with a hub that lets you remotely operate individual lights or groups and automate lighting to fit your schedule. Next: Next post: How to Find your Lost or Stolen Android Smartphone?